Visit visitpaintvalley.com for more shopping, restaurants and things to do in the Paint Valley Region. Paxton Theatre – An intimate theatre situated within the hills of the Paint Valley. Home to great music, events, and theatre! Ancient Valley Mercantile – Gifts, Souvenirs, Gourmet Coffees & Teas, and More! JR’s General Store & Farm Market – Located on St Rt 41 South. A Mennonite store offering a wide variety of fresh produce, meats, cheeses, bulk foods, handmade cadies, herbs, crafts, candles, and handmade furniture. Country Crust Bakery – Located near JR’s. Mennonite bakery offering baked goods and deli sandwiches. Docs Bainbridge Restaurant – They serve breakfast, lunch, dinner, and homemade baked pie’s. The Paxton Restaurant – Home cooked meals! Daily specials, homemade pies, side dishes and salad dressings! 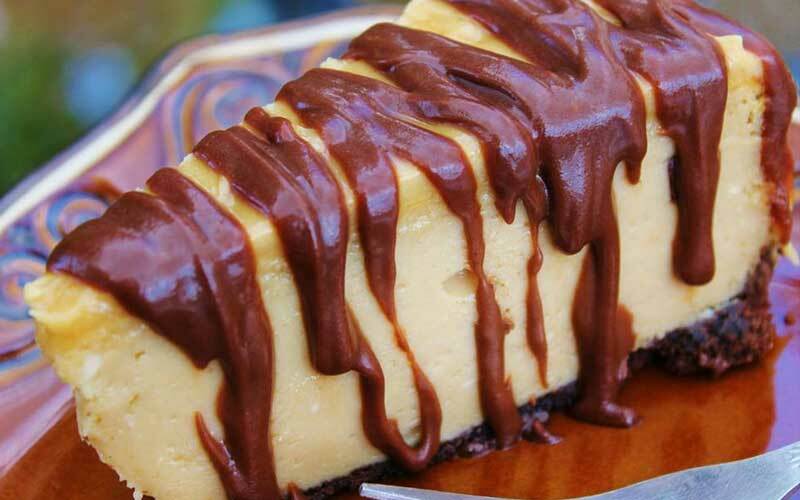 Mystical Retreat Cheesecakes – Open Fridays and Saturdays from 12PM – 5PM. Offering over 50 different flavors of cheesecakes. Fall Festival of the Leaves – Held every October. Paint Creek State Park – Located amid the breathtaking scenery of the Paint Creek Valley, 5,652-acre Paint Creek State Park features a large lake with fine fishing, boating and swimming opportunities. A modern campground and meandering trails invite outdoor enthusiasts to explore and enjoy the rolling hills and streams of this scenic area. Miller State Nature Preserve – This preserve is located within the striking geologic feature known as the Rocky Fork Gorge. Dolomite cliffs and slump blocks produce tremendous spring wildflower displays in April and May. Natural arch and bridge visible from trail. Visit the Visitors Bureau of Highland County for attractions, events and restaurants in Highland county. Fort Hill: Fort Hill is a Ohio History Connection sight managed by the Arc of Appalachia. he major earthwork at Fort Hill is an ancient earthen-walled enclosure constructed on top of a large flat-topped ridge. 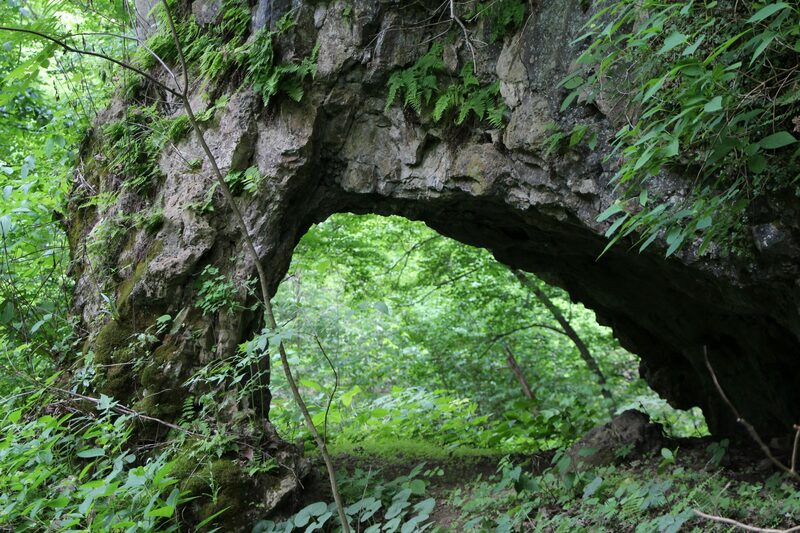 The park offers a total of eleven miles of hiking trails, offering some of the best hiking in the entire state of Ohio. Rocky Fork State Park – Unlimited horsepower boating allows for excellent skiing on the 2,080-acre lake which also provides catches of bass, muskellunge and walleye for skilled fishermen. Nearby, a scenic gorge, dolomite caves and natural wetlands add to the popularity of this recreation area. Visit the Chillicothe Visitor Bureau for attractions, events and restaurants in Chillicothe and Ross County. Junction Earthworks: One of the Arc of Appalachia’s preserves, Junction is open to the public 365 days of the year and features three nature trails providing over three miles of hiking, and a 70 acre native prairie providing spectacular summer wildflowers and rare grassland birds. Hopewell Culture National Historic Park: You can view history by visiting the mounds dating back to 200 B.C. 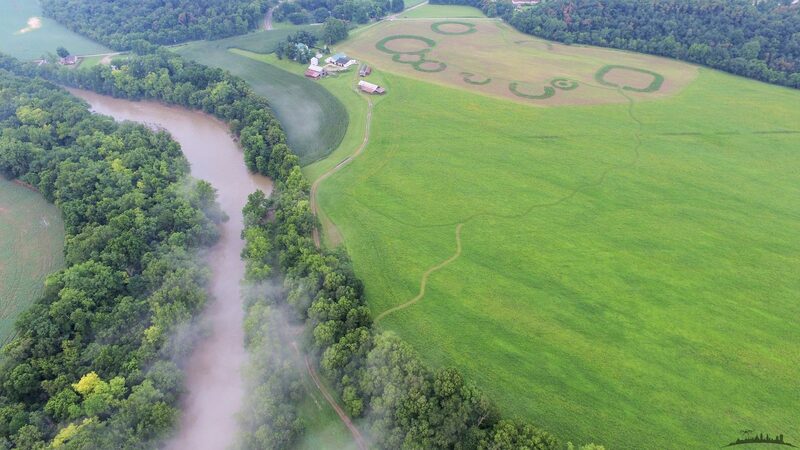 Visible remnants of Hopewell culture are concentrated in the Scioto River valley near the present-day city of Chillicothe, Ohio. The park preserves six earthwork complexes. Visit the Adams County Visitor Bureau for attractions, events and restaurants in Adams County. Serpent Mound: Another Ohio History Connection site managed by the Arc of Appalachia. It’s the largest surviving example of a prehistoric effigy mound in the world. Stretching 1,348 feet over the ground, the beautifully preserved ancient earthwork depicts larger-than-life sinews of an immense serpent, with an intriguing oval shaped head. Chalet Nivale: An Arc of Appalachia preserve featuring three hiking trails open to the public every day of the year from sunrise to sunset. Murphin Ridge Inn: A historic 1826 dining house open 7 days a week Monday through Sunday evenings for dinner. Reservations recommended.